The British Gazette » We agree with Simon! Up to a point – Hinkley Point that is! 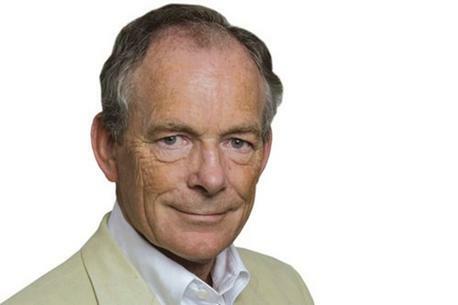 Troubled times can make for strange bedfellows and there could be no stranger a couple than Guardian columnist Simon Jenkins and your Editor! On the question of Hinkley “C” we indeed are bedfellows! Of course there is not a complete seeing “eye to eye” between us. Mr Jenkins is still seized of the delusional notion that CO2 is somehow a threat to Life on Earth! But on the question as to where or not the British electricity consumer is to be presented with the worst business proposal since Lord Sunderland proposed exchange the nation’s gilts for shares in the South Sea Company we are as one! There is a curious historical connection here. One of the behind the scenes promoters with the South Sea Company was Ehrengard Melusine von der Schulenburg, Duchess of Kendal and Duchess of Munster a long-time mistress to King George I of Great Britain. Completely corrupt, Ehrengard Kendal saw too it that Sunderland’s schemes received the King’s support. Fast forward to the recent past and we have the Chameleon championing the Hinkley “C” deal making the Chinese Communists a deal “too good to be true”. But then the Chameleon of a scion of the Earls of Munster, Royal bastards by “Mrs Jordon” of King William IV, last Hanoverian King of the UK! Mr Jenkins is of course right when he urges Mrs May to supplement our VERY urgently needed generating capacity with gas powered stations. But not because coal endangers the planet of course! It does NOT! But for the simple reason that gas powered stations can be constructed relatively quickly and so far as keeping the lights on for the UK is concerned, time is now very much of the essence! The fact is that even if !10 billion was knocked off the £18 billion price tag attached to Hinkley “C”, the power plant could not be built in time! As it is, the success of the Leave campaign in securing a vote for Brexit has led to a decline in the value of Sterling and this can only help the order books of Rolls Royce the aero engine makers. What has this to do with power stations? Some British Gazette readers may well ask. 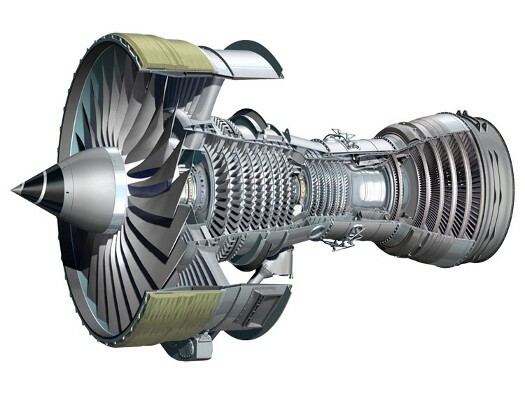 This: This is the Trent 7000 the latest development of the Trent turbofan range. It is the best of British engineering! It powers numerous aircraft we see in the skies above us and also is adapted to power ships, commercial and military. It can and is adapted to provide the front end of gas powered generating stations. The 120 ton Rolls-Royce MT30 (the navalised Trent) is the most powerful gas turbine ever fitted on a ship; each one generated 36 Megawatts – enough power for a town the size of Burnley or Guildford. The Royal Navy’s two aircraft carriers each have two such engines. That means we have 144 Megawatts to hand if these engines are removed and used short term. Of course we should have 96 more such engines thus sending 3,600 Megawatts to the grid – more than double the power from Hinkley “C” should it ever get built! 3,600 Megawats now constitutes about 15% of the UK’s much diminished total demand. Does not the Royal Navy need it’s two carriers? We hear you ask Dear Reader? Well, no not really. You see, aircraft carriers require aircraft in order to be effective – as warships that it! The principal aircraft to be embarked on these two carriers is the Lockheed Martin F-35B Lightning II. This is a ludicrously overpriced aircraft that is years behind schedule and billions over budget. By the time the F-35B is ready for delivery there is unlikely to be enough money in HM Treasury’s kitty to afford any! In fact the F-35 programme has been so delayed and so over budget it makes Areva’s disastrous European Pressurised Reactor project a model of good budgetary practice in comparison! In fact, were Ehrengard Kendal still around we think that even she would feel too shame faced and embarrassed to promote it! By the way, Ehrengard survived her “other half” for some years and kept a pet raven believing this particular raven to be the reincarnation of King George I. A bizarre belief to be sure, but any the less so than Mr Jenkins’s belief that CO2 threatens us all?